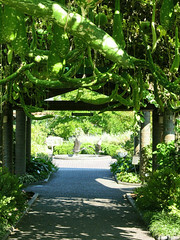 The Kemper Center for Home Gardening is the largest non-profit gardening information center of its kind in the nation. It provides recreation, education and resources for Midwestern home gardeners. Programs are developed jointly through partnership with University of Missouri Extension. The Kemper Center is managed by four program staff, a receptionist, six field horticulturists and 200 Master Gardeners and volunteers. 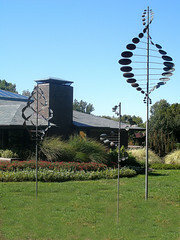 Missouri Botanical Garden, 4344 Shaw Blvd. in St. Louis, Mo. To teach gardening skills through gardening programs and displays; to encourage more people to improve their lives and homes through the pleasures and rewards of home gardening; to better serve visitors by providing accurate and accessible information on indoor and outdoor plants for the home. The Kemper Center pavilion is open from 9 a.m. to 5 p.m. daily; closed Thanksgiving, Christmas and New Year's Days. The Kemper Center includes an 8,000-square-foot pavilion and eight acres of residential display gardens composed of 23 individual garden sites. The Kemper Center pavilion opened in 1991 and includes a cozy living room area with a fireplace that includes tool and seed catalogs, a demonstration kitchen, a “plant doctor” desk, a gardening book reference library, classroom, indoor gardening displays, a monthly gardening calendar display, an information center and offices. It has the look and feel of a residential home. The Center provides ongoing training for its volunteers and conducts a yearly Master Gardener training course. Additional programs include Plants of Merit®, the Horticulture Answer Service, Plant Doctors and Master Gardener Training.